Bali, it is a favourite holiday destination for many Australian’s – because of it’s gorgeous beaches, delicious food, cultural activities, overall relaxed vibe and it has some of the most beautiful accommodation in the whole of Indonesia. With a vast variety of accommodation options it can be hard to choose where and what is the right choice for you, so with that in mind we have compiled our top 10 pool villas to help you on your way! We love staying in pool villas when in Bali, they have everything you could ever need, they are luxurious, super comfortable and it’s the private part that get’s us excited… spend your days lounging by your own private pool, sipping on cocktails with no one but you and your loved ones! 1 - Villa Delfino - a contemporary villa with the most stunning ocean views to take in while you sunbake and swim. Villa Delfino feels like an oasis amongst the rice fields - you will feel as though you are right in the midst of Indonesian life. 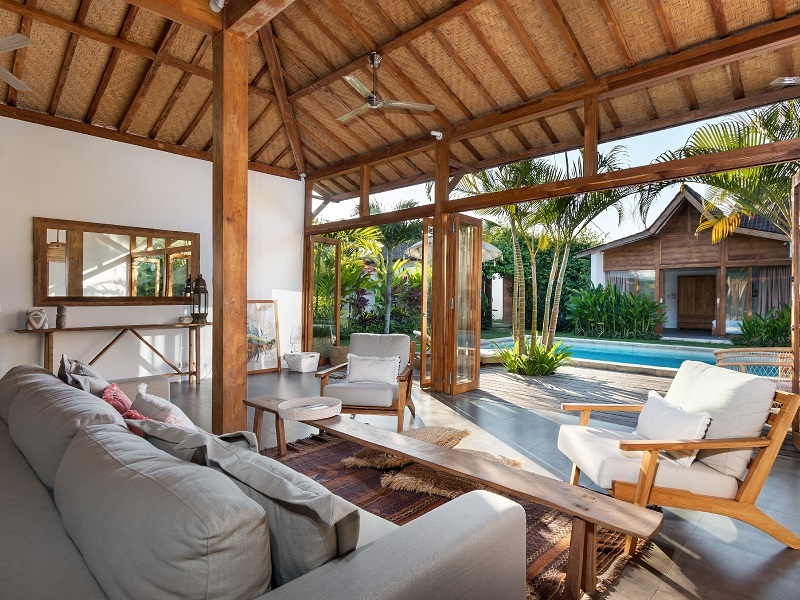 2 - Casa Hannah - a villa which is filled with Balinese architecture and has an airy design and relaxed feel. This spacious pool villa is filled with natural stone features, carved timber elements and contemporary finishes to make you feel right at home. And as you can see below it is surrounded by lush, tropical Balinese gardens. 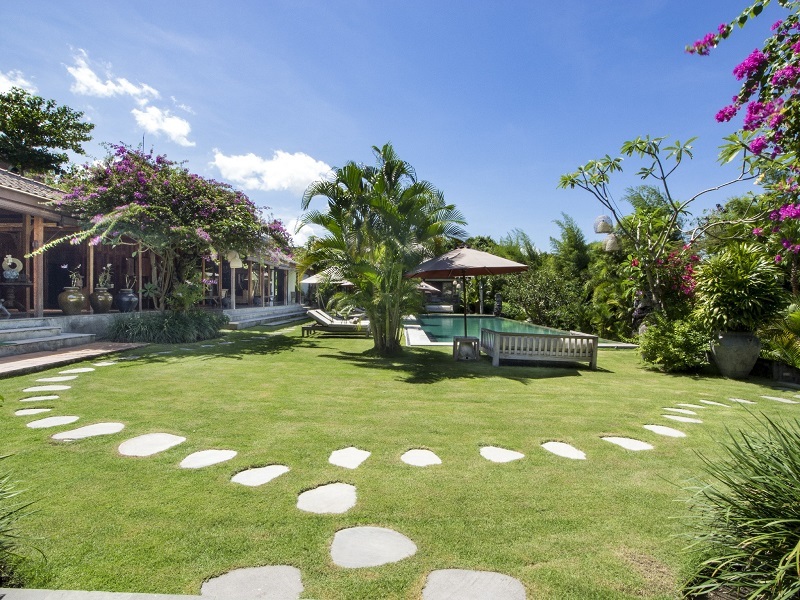 3 - Villa Paraiba – a huge 4 bedroom luxury villa in the heart of Seminyak. 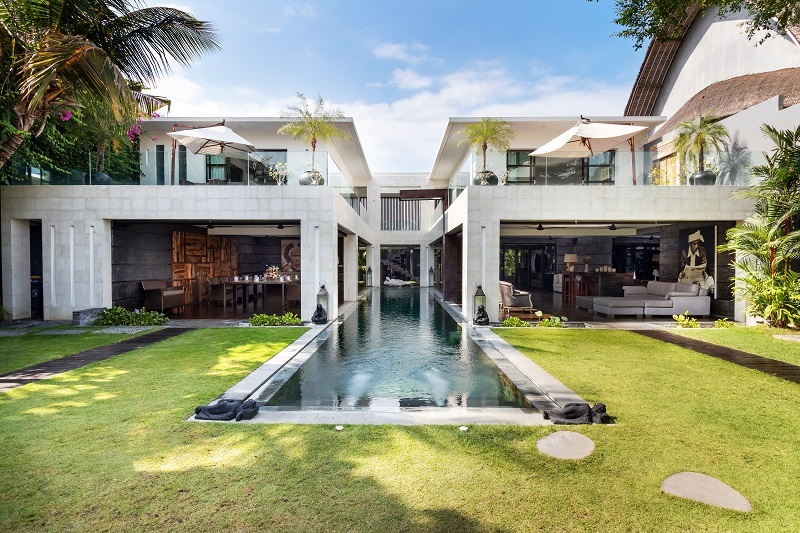 Located in the most popular district in Seminyak this stunning villa is within walking distance of this area’s most sought after restaurants, bars, day spas and beaches. 4 - Villa Galante – this villas is filled with carefully curated antique furniture from all over Asia which gives it a feeling of history and heritage. 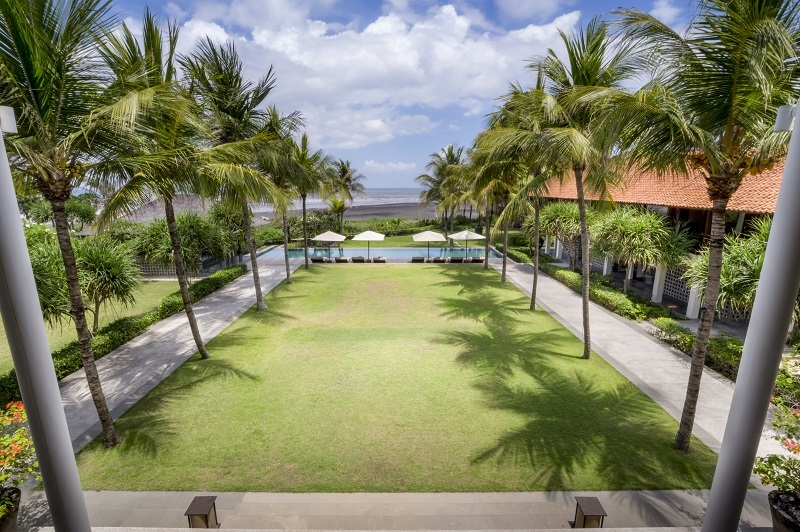 It is located only a 10-minute drive from Seminyak and Canggu, so you are within minutes of the all the popular tourist spots. Spend your afternoons surrounded by the peaceful views of the rice fields, relaxing and swimming in your own huge private pool. 5 - Villa Cahaya – Villa Cahaya is an amazing cliff top villa with uninterrupted ocean views. For the fitness fanatics you can enjoy the in house tennis court and gym. Or relax and enjoy watching the sun set in your own cliff top infinity pool, looking over the ocean., surrounded by palm trees. 6- Villa Splendid – a 5 bedroom two story villa perched at the edge of a river valley. It has breathtaking views across the surrounding fields and gardens and also features a basketball court and badminton table to keep your family and friends entertained between cocktails and swims! 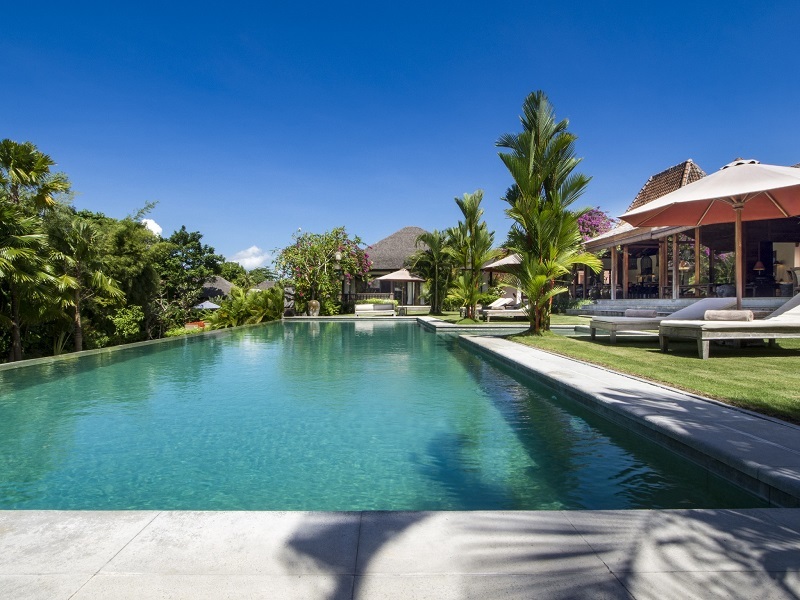 7 - Villa Kadek – a villa decorated with traditional art from Java and Bali, this stunning villa has a spacious outdoor living room with views of the manicured gardens and oasis like swimming pool. Relax and unwind by the private pool, lying under an umbrella and sipping on a freshly made cocktail. 8 - Villa Atmo - the perfect family villa that is within walking distance to Batu Belig beach and the popular Petitenget region. Villa Atmo is a traditional Joglo villa, filled with all the luxuries and amenities you could ever ask for. It features an outdoor living room, cabana style pool area and tropical garden. 9 - Villa Theo - Villa Theo has an expansive garden with an enormous 20-metre infinity pool in the middle of the property. It’s the perfect villa for a large family holiday or for hosting events such as weddings. 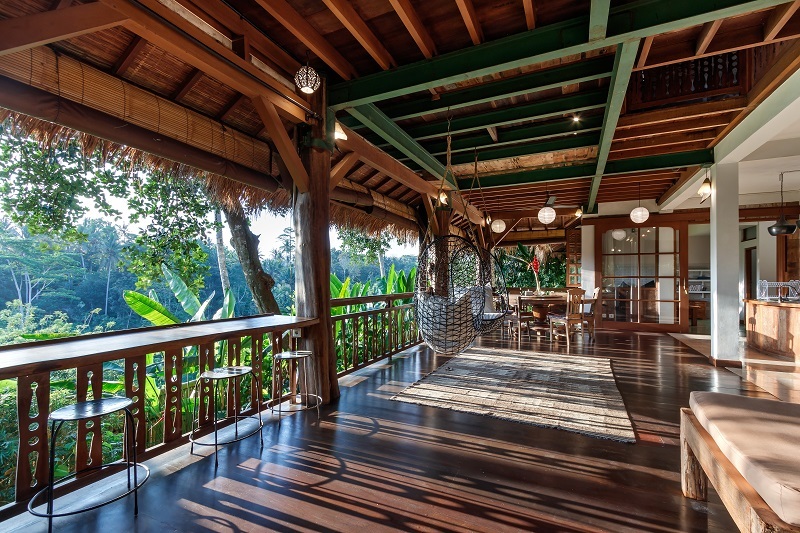 It has large open plan living and dining areas and two traditional Javanese Joglo houses to accommodate your guests. 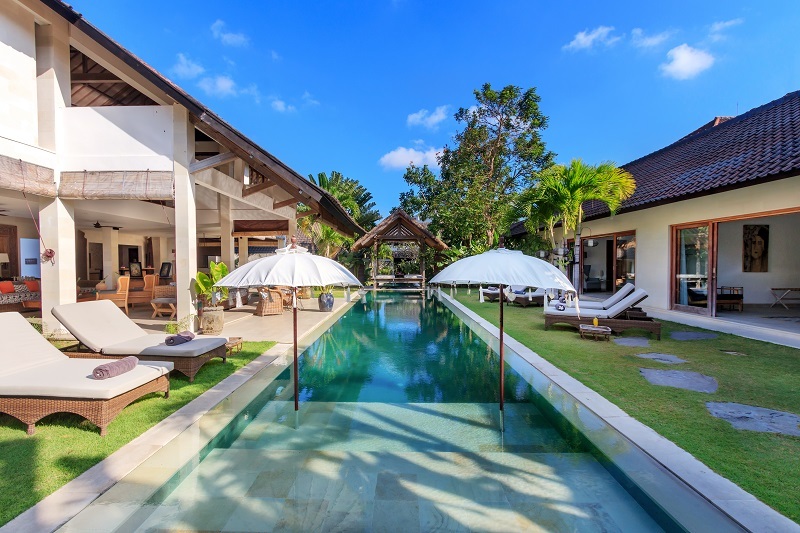 10 - Villa Jeeva Saba – a beachfront villa situated on the east coast of Bali complete with an ancient Banyan tree. It features all of the luxury amenities you could ever ask for, such as an in house chef, gym, massage room, pool and daily breakfasts. Swim in your private pool or walk straight out of your villa and onto the beautiful beach for a day of fun in the sun and surf. Villa Finder has over 1,500 villas listed on their website from Bali, Phuket, Samui, Sri Lanka and Mauritius. Each villa is inspected before being listed online and they continue to be frequently reinspected to make sure that they are well maintained and that the level of service is always exceptional. Villa Finder is your accommodation genie – this is how it works: hop onto the website, find a villa you love and place a request for the villa through the website. Next, the Villa Finder team will contact you directly to ascertain your needs and ensure that this is the right villa for you – eg. are you coming with kids, how old are the kids, do you need a pool fence or car seat etc. Once you have decided that the villa is right for you, Villa Finder’s concierge team will arrange your stay directly with the villa. Villa Finder will also arrange airport pickups, special dinners, day tours, in-villa massages and more. Payment is made directly to the villa providers, and Villa Finder does not charge any additional fees for the arrangement. And something extra that we love about Villa Finder is that for every booking made, a tree is planted in Sumatra, Indonesia – so you are not only enjoying an amazing holiday, you are also contributing to the environment while holidaying. 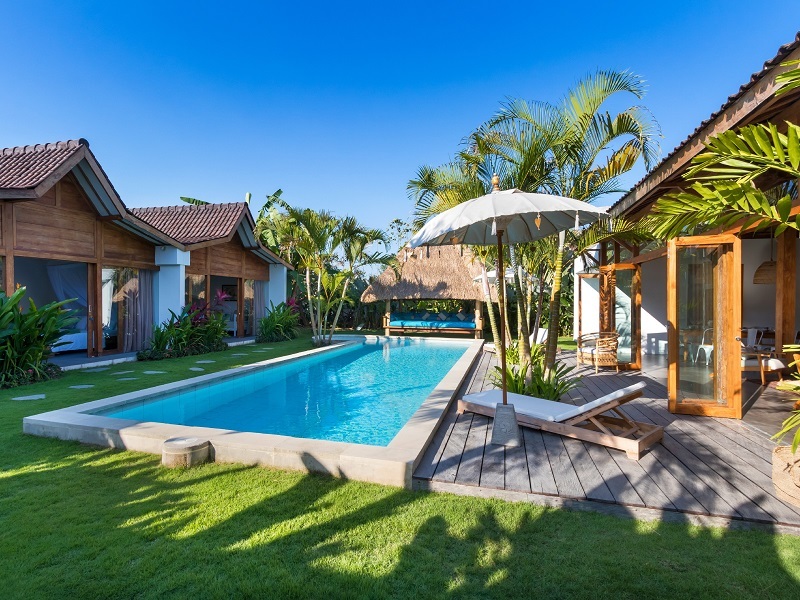 I'm feeling super excited to be sharing this absolutely stunning villa with you today because I just booked this for our Bali getaway in September and it looks AMAZING... say hello to FELLA VILLAS Canggu! Inspired by travel, architecture and art, FELLA VILLAS was created by the founders of the iconic Australian swimwear brand FELLA. It is a thoughtfully designed modern villa with influences from South America and the exotic Asian East. Collaborating with the designers favourite artists, photographers and homewares, the villa is situated in the newly super popular area of Canggu, Bali. It's the perfect spot for a vacation for the whole family, a romantic retreat, or a solo adventure. Light and airy, the villa resides down a quiet street only a few minutes bike ride from Tugu and Echo Beaches, as well as popular bars and restaurants. It comes equipped with full kitchen facilities, three queen sized bedrooms with en-suites, indoor lounge room with tv, fibre optic internet and Bose speakers. The garden has a large and inviting swimming pool and a fish pond to relax by as you are cooked a delicious breakfast in-house each morning. I can't wait!! So if you're keen on a Balinese getaway but couldn't decide where to stay, FELLA VILLAS is your oasis!